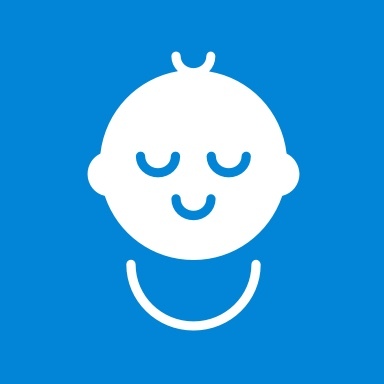 Happity is a booking system designed for kids classes. It can be used for any age range, but it's been designed with the needs of baby & toddler classes in mind first. If you are fed up of chasing payments, losing payments due to forgotten purses, or second guessing whether that class needs more marketing, we can help! ✔️ Easy to use. For both you, and your customers. Meaning more sales and less time on admin. ✔️ Affordable. More about prices. ✔️ Clean, clear registers - you can print or use it from a mobile. Extra space is provided for on the door drop-ins, or to track reservations made elsewhere. ✔️GDPR compliant marketing opt-in - parents are asked if they would like to receive news from you. Download and export your customer list. ✔️ Handles different ticket types. Trial offers, sibling discounts and pro-rated term tickets. ✔️ Ready for franchises. Whether you're part of an existing one, or about to start your own - we can help. We provide both a franchise wide view of classes, as well as individual pages for franchisees. 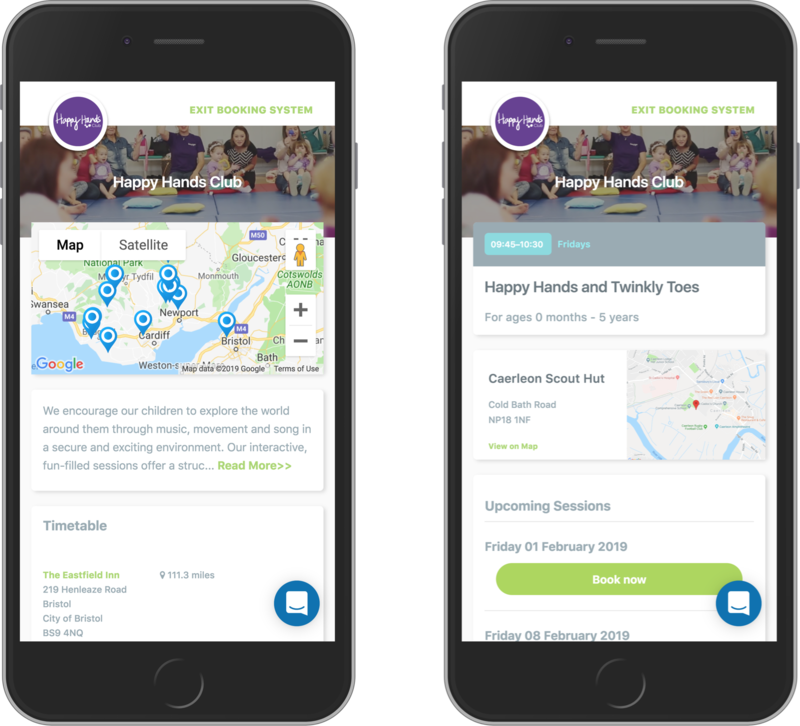 Both pages have a 'Find Your Nearest Class' feature and display a personalised map. Plus of course, all the data in the booking system flows straight through to Happity Search giving you effortless extra marketing for free - with no extra admin. So far, 100% of people who've completed a trial with us have taken up a paid subscription, describing it as 'Life Changing', 'Revolutionary!' and 'A Game Changer'. Monthly subscribers get fully personalised pages that can be used from your own website. Our fees are designed to be affordable for all sizes of business, starting from just £12.50+VAT per month (£15 including VAT) and is based on the number of spaces you've sold that month. This means it may be higher in a month where you've pre-sold the whole term, but then is lower during the term when you might only be filling odd spaces. If you're away for a long time and not taking any bookings at all, you can also ask to pause your subscription. We give you access to all features, no matter what 'tier' you're on, so that you can use the tools that will help your business grow. Find out more about our fees here. Subscribers are billed at the end of each month based on what you've sold. And the billing period doesn't start until you make your first sale. This means you can take as much time as you need to set up your classes for FREE. Despite good intentions, we know sometimes life gets in the way!! Once your billing period has started, if you're not getting on with the system and need to cancel, you can do so within the first 14 days and we won't bill. Our policy is always to operate as fairly as possible, supporting both the small businesses we work with whilst also striving to build our own. If you already have a free listings account with us, you can switch Happity Bookings on directly from the dashboard. Simply go to Profile > Bookings. If you don't have an account yet, say hello on the blue button below and we'll get you set up. In the meanwhile, take a look at what our customers are saying in testimonials. Or come join us in our Facebook group and meet the humans behind Happity!